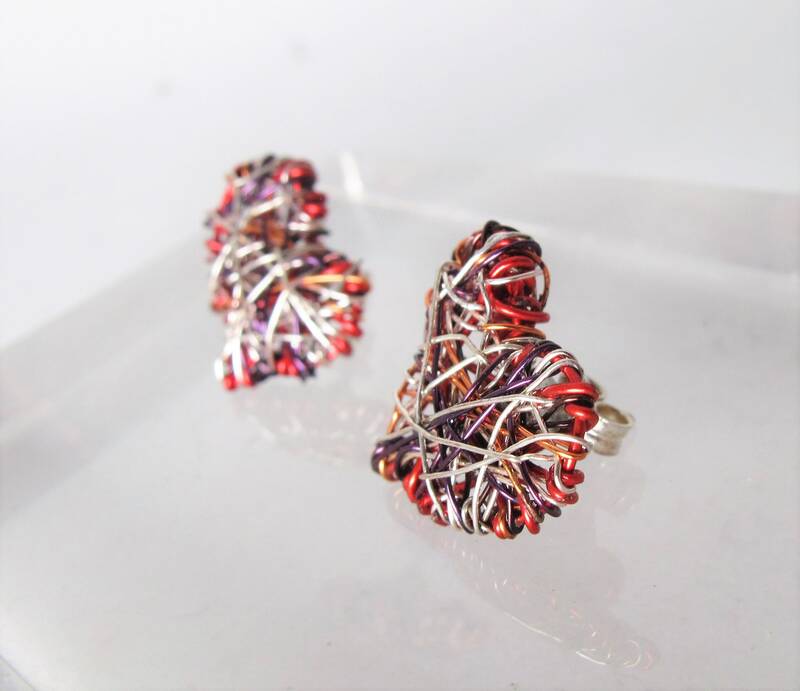 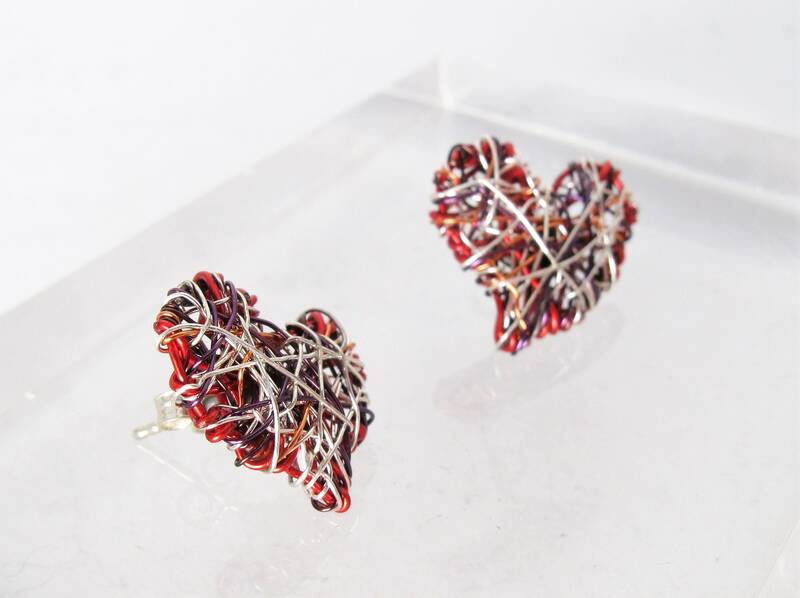 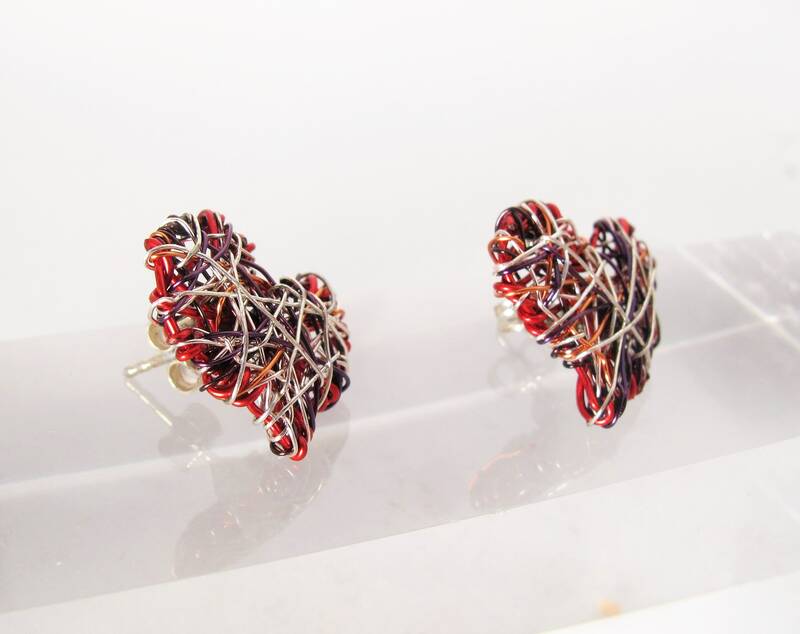 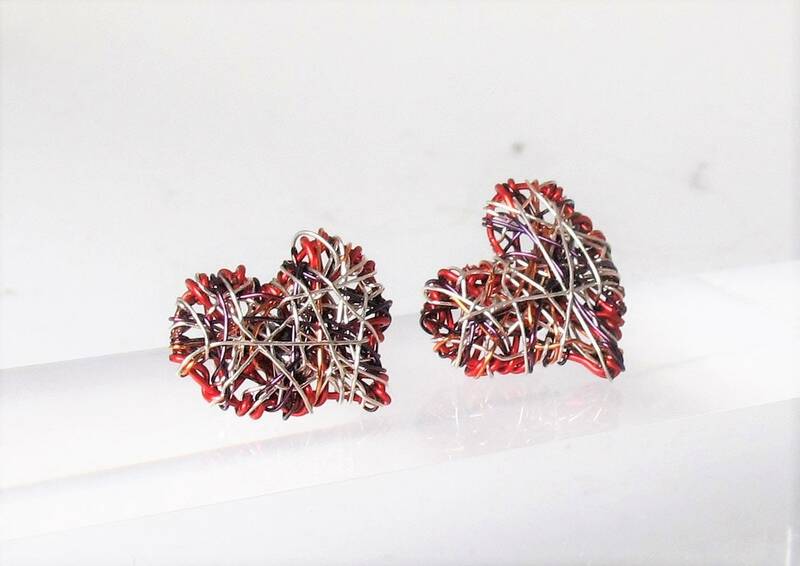 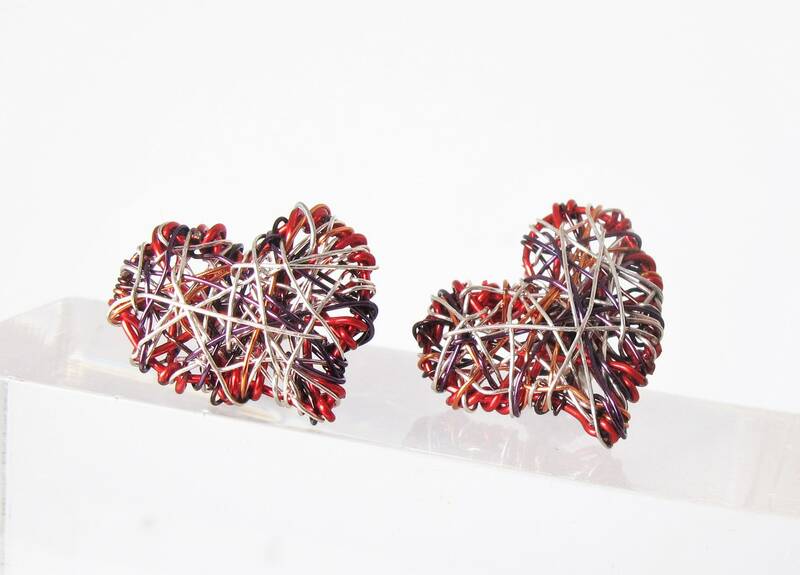 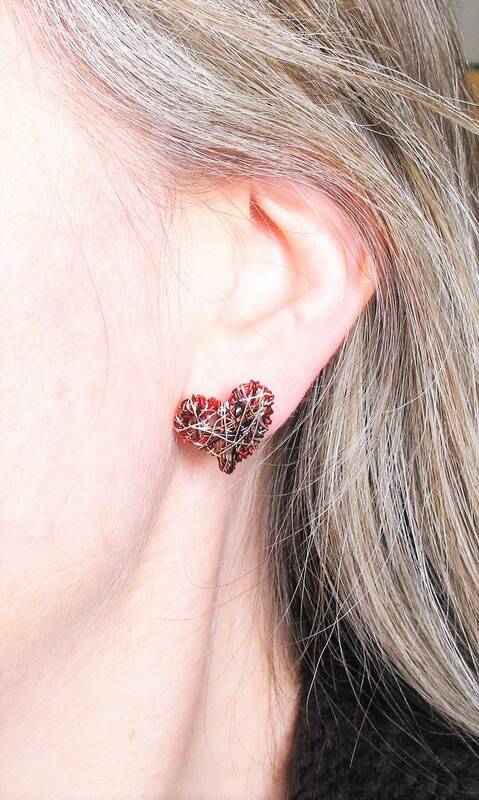 Red heart earrings stud, every day, different, wire art earring handmade from colored copper wire and silver. 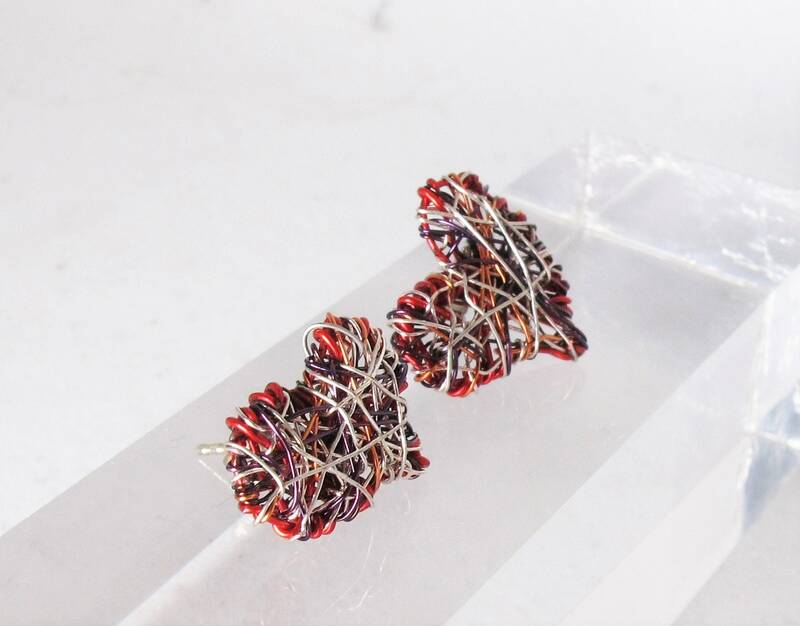 Pins of earrings, solid silver, hypoallergenic. 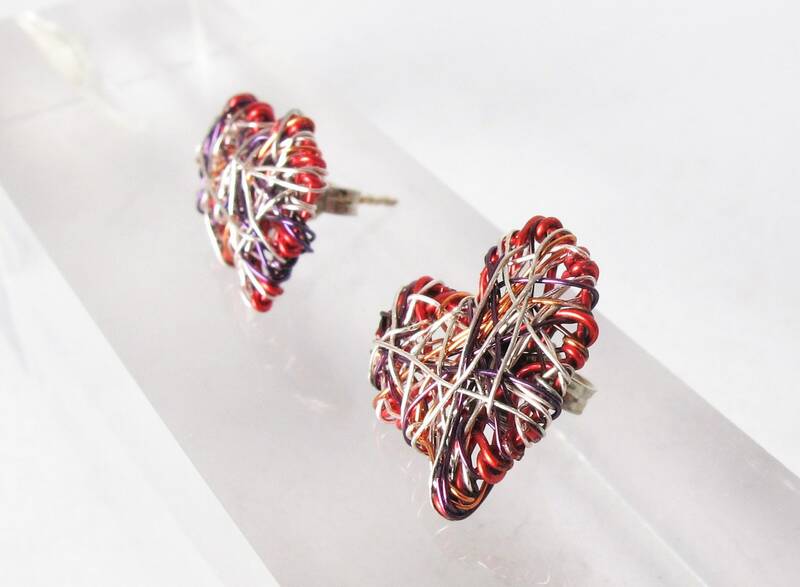 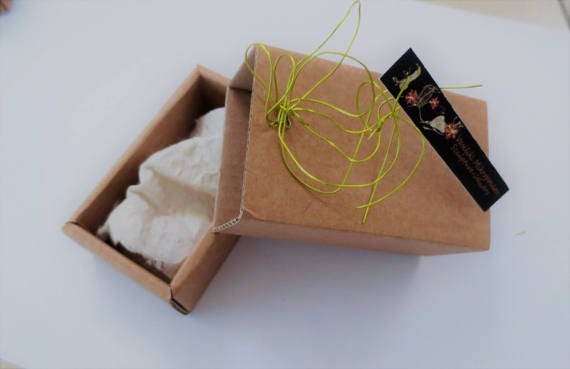 These handmade lovely, cute earrings, are different, so the result when worn is unique! 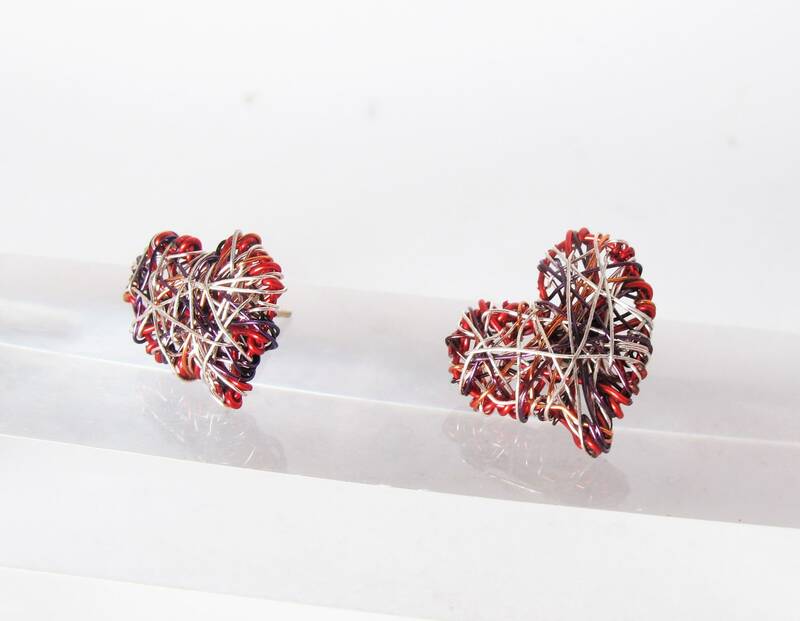 Take a look at my shop sections, heart necklaces, brooches, and rings, where you can take ideas, to make a set.